AROnline hops on a bus that was destined for Shattered Dreams Parkway, only to find it was actually quite good yet was a victim of it’s own technology, it’s forward modern thinking, oh.. and an unhealthy dose of classic British Leyland union militancy! Strange when you look back in time isn’t it? Where once we had a sprawling automotive industry developing and building everything from a road roller to a Rolls Royce, it seems that all this has gone for many reasons including buyer apathy, catastrophic errors in management and a criminal lack of funding and direction when in public ownership – such a very sorry state of affairs. All of the once great names in the bus and coach sector which included AEC – Albion – Bristol – Daimler & GUY were all living under the Leyland umbrella as we entered the 1970’s and Leyland had re-written the rule book with the National. By 1973, Leyland had set out a plan to build an equally modern integral (chassis and body both load bearing) double deck bus. Where that National had been a bespoke production line assembled vehicle, this new idea would be produced by traditional coach building methods. BL had three types of rear engine double deck chassis at this time, the Bristol VRT – Daimler Fleetline & Leyland Atlantean and all were reliable and respected vehicles which all sold in decent numbers to both Municipal & NBC (national bus) fleets. London Transport were drawing plans to withdraw the RT & RM (Routemaster) types and were looking for modern high tech vehicles that could be operated by one person and the recently introduced Daimler DMS Fleetline was proving to be a problematic vehicle – though hindsight has showed us that this was partly due to LT not understanding how an off the peg vehicle should be maintained, so BL engineers got to work on a prototype vehicle which was coded B15. The idea of the B15 – or Titan as it became known, was to be bristling with modern technology, class leading in noise and comfort levels while also giving a long service life. A massive ergonomic study took place taking everything into consideration such as step heights, driver controls, positioning of grab poles and isolating noise or vibration. Mock up interiors were built at Leyland where everyone and every aspect from the driver to the passenger would be surveyed in detail. In October 1975, British Leyland had the first working prototype B15 up and running on the test fleet using a Leyland 500 series engine and a fully automatic version of the epicyclical gearbox. What made this a very unique bus was the full compliance of all world known type approval regulations, gained by careful study and the previous passenger / customer surveys. As with the National, the B15 also featured air suspension – which was still something of a novelty back then. The Titan claimed to have the lowest noise levels both inside and out of any bus and a clever independent double wishbone front suspension gave a superb smooth and steady ride in all conditions. To reduce interior vibrations, the powertrain was mounted partly by means of suspension from the upper deck floor and the cooling system was isolated from the rest of the engine bay with a thermostatic hydraulic fan drawing air through the radiator thus giving optimal thermal efficiency. Leyland supplied the rolling chassis and the body work was produced by Park Royal – Roe in London. After some favourable demonstrations with large operators such as LT – Greater Manchester & West Midlands PTE, overall feedback was promising, but operators made no bones about the problematic 500 series engine, so Leyland decided that Gardner 6LXB rated at 180bhp would be available – the chosen engine of the UK bus operator. 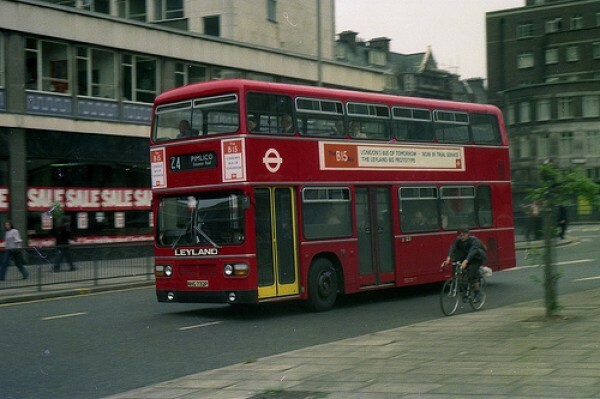 This was the first time a Leyland bus had been produced with an out sourced engine though a Leyland power unit came along in 1979 with the L11 or TL11. The production Titan came on line in summer 1977 with a huge order confirmed not only with 250 for London Transport, but West Midlands ordered 80 and Merseyside ordered 50 – very promising indeed for a brand new design. Sadly, constant union disruption at Park Royal meant that production was slow and customers grew tired of waiting for buses and rival makers such as MCW started to pick off valued customers with their new MCW Metro Bus. Rivals such as MCW were quick and keen to exploit Leyland’s delivery problems to great success! Production became so problematic that BL decided it was to close the London bodywork plant and move Titan production, spurned on by high wage costs, constant strikes and low productivity. Eventually, Titan production moved to Workington in 1981 and the National factory was extended but this put delivery orders back by almost 18 months, and one by one, the customers – including London, cancelled their orders. Municipal customers deemed the Titan to be too bespoke for rural use and Leyland quickly realised the Titan had a limited customer base beyond the big Cities. Leyland soon had a simplified double deck chassis developed which suited all customers far better than the all singing all dancing integral Titan. Launched at the 1980 commercial vehicle show, the Olympian featured a traditional chassis but none of the complicated Titan ideas such as hydraulic brakes, multiplex wiring or independent front suspension. The last Titan came off the production line in 1984 and had cost Leyland millions in lost revenue due to cancelled orders. Was the Titan a disaster? Well as a bus, it was superb. They drove exceptionally well, both drivers and passengers loved them thanks to the bright, spacious and comfortable interior and above all, proved to be hard wearing in service. The key problem was the technology; rural operators did not see a need for air suspension, complicated wiring systems or integral bodywork and simply ran away from the Titan. With larger fleets like London, the Titan gave sterling service partly due to good workshop facilities and exacting preventative maintenance. Financially, the Titan was Leyland’s true blunderbus, teaching the company a costly & hard lesson in how not to re-invent the wheel. Such a shame, as the Titan really was an impressive piece of design sadly 10 years ahead of its time! 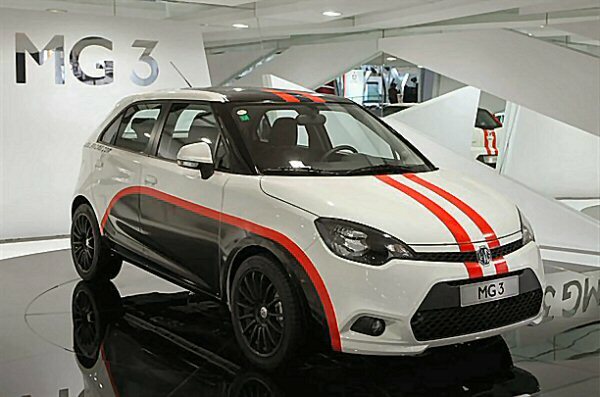 Blog : Is MG in the UK about to turn the corner? 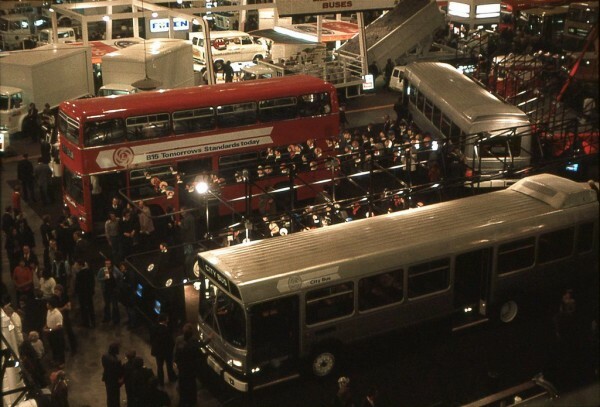 When the body shop at British Leyland’s Park Royal works ran out of London bus floors last week they found a half-built Manchester bus, tore out the floorboards, built them into the London model and sent it down the line. That is a revoloution. Two weeks ago before Sir Michael Edwardes announced Park Royal’s closure, they would have relished the delay as yet another example of bad management and grimly waited for the right parts to come through. Two things have changed all that. One is the hefty severance pay the workers have been promised on condition that they produce five buses a week until the plant closes in June. The other is a revived and open contempt for Leyland management. As the employees see it, they have nine months to rub Leyland’s nose in Park Royal’s failure. By doubling production they will prove to themselves at least, that Park Royal could have worked if Leyland had not interfered. When Mr Emerson leaves next year, he says, he will throw up his 12 years experience in the industry. “I have had it with them,” he said. At the root of the contempt is a mythical character called Hurry-up Harry. He is the archetypal Leyland career man who comes down from the Midlands with his well researched theories and his expertise and runs into distrust from the shop floor every time he opens his mouth. “All our management are British Leyland whizz-kids,” said Mr Emerson. The workers complain that since Leyland took over at Park Royal the works has become top heavy with administrators. They say only 250 of 630 employees are directly involved in production and a quarter of them are apprentices. Leyland disputes the figure, saying that 360 workers are directly involved in production. Hurry-up Harry suffers the the additional burden of having to consult with headquarters on many production decisions, which causes delay. The most contentious decision was to farm out the production of components originall y made at the works. Parts are slow to arrive and often badly made. That has meant falling wages under the pay agreement, which is tied to the number of buses being completed each week. The Titan bus, which takes up most of the work at Park Royal, has suffered from design faults. Every Titan produced has to go up to Nottingham to have the roof panels replaced because the Park Royal panels are the wrong shape. “But one thing is certain,” said Mr Emerson. The Titan didn’t get many orders either simply because it was too tall for many operators garages, especially within NBC, with many depots designed for buses around 13ft 8 max (especially former Tilling companies), and SBG prefered their local body builders Walter Alexander, GMPTE were closely tied with Northern Counties in Wigan, WMPTE were loyal to MCW, TWPTE seemed to be close to both MCW and Alexander. If the Titan had been designed as an underframe, and been available to other body builders, who knows, but killing it off was the best move, because the Olympian went on to become a worldwide success, Especially in Hong Kong. Parts of the Titan live on today by the way. The independent front suspension in Volvo’s B9TL/B5L hybrid is derived from the Titan system. Marty, interesting stuff there. But the general failure of the Titan was mainly due to Leyland putting all its eggs in one basket as t`wer with LRT. Body height? – Well 13.8 was the standard height for NBC but saying that, the Titan was mainly designed to brief set out by LRT. If height was the case, then how did the Alexander R class sell so well on a Leyland, Scania or Volvo frame? The idea of production at Park Royal once again confirms the design for London in mind. Chiswick were also geared up for major overhall for the Titan. Thus any serious body work matters could be dealt with “up the road” as oposed to shipping the bus out to Wigan – Falkirk or Blackburn etc. It was with GREAT reluctance that production was shifted. Technology – The Lockheed hydraulic brakes were a nod to the RM and dictated by LRT, an excellent system to drive but seen as nonsense by other operators – subsequently replaced with a traditional air chamber sytem by LT later on. In the 70`s, operators wanted the following – Gardner unit – semi gearbox – hard wiring – no fancy dignostic systems – simple under seat heating & a proper chassis upon which the body was nailed to akin to ECW & Northern Counties. Integral vehicles were almost seen as the anti-christ. Yes, the National also featured a semi integral body work, but the design breif there was for NBC. With the Titan? – again, the spec was laid down by LT`s previous desires. Leyland were brave to punt the Titan out to other operators, but the need to do so was spurned on by LRT cancelling orders and taking their custom elsewhere, namely to MCW and to close, here’s the first oder oportunities lost by Leyland due to the Park Royal fiasco upon launch..
West Midlands PTE were so impressed with the Titan they were considering a total standardisation on the type, they placed an initial order for 85 buses with a view to another 150 soon after – they too grew tired of delays, bought elsewhere and only took delivery of five. As you can see, the business was there but customers were fed up with it all. Mike H: If the Titan was too far ahead of its time in the 1970s, then what about the Guy Wulfrunian? A concept in 1958, it was the first ‘bus with independent front suspension, disc brakes and air springs. In the days when Wolverhampton Corporation ran Wulfrunians, I was a cycling-mad sprog, so didn’t use buses much – but the odd ride in the air-sprung ‘bus was interesting – it seemed to behave more like a boat than a ‘bus – if you sat at the back you felt as if you were rising several feet under braking! Not suitable for those prone to sea sickness. Problems with the Wulfrunian helped bankrupt Guy Motors, so that Jaguar-Daimler could absorb them in 1961. 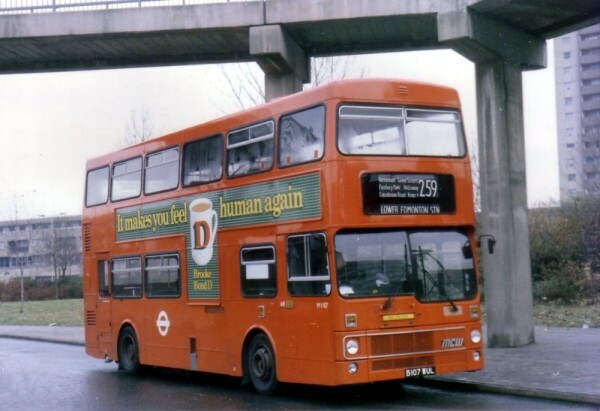 I travelled on the Titans at the end of their life in London but more often on the Metrobus beacuse I lived in North London where they were the standard bus. I preferred the metrobus as, to me, they were more comfortable (but still no routemaster) and thats what mattered to me. I am surprised that the Titan and Olympian are so different – I thought they were much more closely related with the latter being a simplified version of the Titan. Also is it true that Optare’s double decker was effectively an updated Metrobus? Yes Andrew, Optare bought the design rights to the Metrobus when the Laird Group which included MCW went bankrupt. 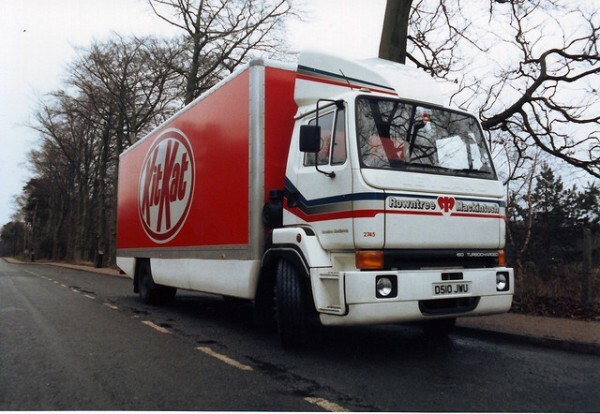 The chassis was classified as the DAF SB250 and used the 9.6 litre DAF engine, DAF steering & front axle units. Optare also bought the design rights to the Metrorider midibus and relaunched it in improved form, with a thorough revision of the product coming a couple of years later. Mike, the Laird group did not go bust. They decided to close down the MCW bus business as they considered it no longer viable in the deregulated market. They had planned to merge MCW with Leyland Bus but the government did a u-turn on the deal and sold to the Leyland bus managment. P.S. nice article, speaking as the proud owner of the first WMPTE example for the last 7 years. What I wouldn’t give to be at that ’76 trade show! I know of an operator in the south of England that still runs a MCW Metrobus, in daily service. In addition he has the 10th Leyland National to ever come of the production line (on a K Plate). Sadly he has allowed it to start rotting away in his yard. In response to Mikey T’s post, Alsthom closed under Labour, where such things are swept under the carpet, but when something closes under the Conservatives, Labour suddenly go ballistic and say they would never let it happen. I could add they said absolutely nothing and did nothing when another Workington plant, the railhead plant at Derwent Howe, closed in 2008 with the loss of 280 jobs and we could add countless well known firms to the list, including Rover. just a few of the names of the past!!!!! The Titan was supposed to be a double-deck version of the National – in effect the ultimate double-decker and with a view of the times a ‘Concorde of the road’. It was to be bristling with features to make the driver’s job easier, be better for passengers and most importantly be reliable. Leyland had a monopoly of the double-deck market in the early seventies with the three distinct models, the Damlier Fleetline, the Leyland Atlantean and the Bristol VRT. These models were selling well to their respective customers however the designs were showing their age by the start of that decade. The Fleetline was pretty much unchanged since its launch ten years earlier and although the VRT was relatively recent, it’s roots were in the earlier unsuccessful VRL model. Only the Atlantean had been updated with the AN68 model although in motoring terms it was more of a mild facelift to deal with reliability issues rather than many new features. BL felt it would design a new bus to replace all three models. It wanted the bus to appeal to three main types of purchasers. These were London Transport, National Bus Company(NBC)/Scottish Bus Group (SBG) and the fleets of the Passenger Transport Executives (PTE’s) – the fleets of the major cities, These fleets had very demanding requirements but made up most of the new bus purchases in the UK at that time. London had been buying Damiler Fleetlines (DMS) since a short-lived escapade with AEC single-decker’s and wanted a bus like an updated Routemaster. 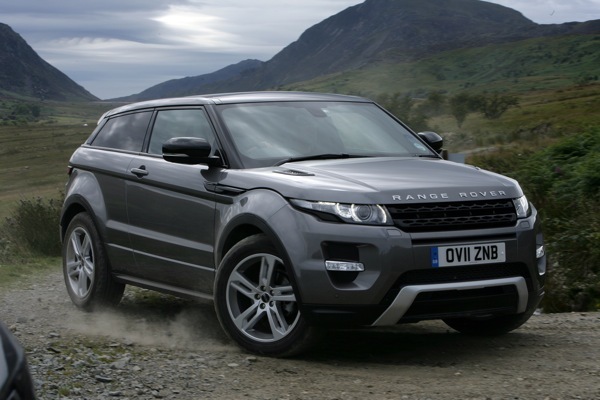 This meant advanced mechanical, cooling and passenger features. The PTE’s would settle for something similar but NBC/SBG had a continuing requirement for buses built to a lower height. When the advanced Titan appeared, it was clear it had been designed solely with London in mind – and although bristling with features it was cost a fortune. However, as detailed above, although the PTE’s had ordered some production issues meant that the Titan’s life was effectively foreshortened. This was a pity because as a bus, it was superb. Indeed, it shares none of the compromises of today’s generations of double-decker’s. A couple of additional facts about the Titan. 1. There was real concerns about the use of the name Titan again for the new bus. This was because at the time, the earlier model of Titan (PD3) was still pretty numerous. One of the names under consideration was Olympic which would have probably meant the Olympian would have been called something different. 2. Due to the slow sales of the Titan, Leyland entered into tact negotiations with Alexander’s, who had a tight grip on the Scottish market, and Northern Counties Coachbuilders who sold to Greater Manchester PTE to assemble the Titan in kit form under licence. The threat of the integral Titan had driven these companies to encourage competing models with the Volvo Ailsa and Foden-NC. These negotiations came to nothing. 3. It’s generally accepted that following the decision to close Park Royal, the Titan then was ear-marked to be produced at Workington. However after the decision to close Park Royal, Leyland initially wanted it to be built at another Leyland company, Eastern Coach Works (ECW). This came very close to fruition but the unions at ECW demanded a number of concessions to build it whereas the staff at Workington made no such concessions. So it went to Workington. The last one is fascinating. ECW built mainly bodies on VRT’s and Olympians, and had the Titan been built there instead, those Olympians would have had to be built somewhere else, probably Charles Roe in Leeds – which is now Optare. It would have also probably meant Workington would have struggled as the Titan when it went there, made up for a shortfall in National sales. Would Workington had survived???? I was surprised to see Leyland Titans in Vegas doing the rounds. RHD with the UK plates. They had a door placed in the centre section on the right, to allow boarding and getting off on the footpath (sidewalk). The ‘UK’ front door could be used when getting off at the Circus Circus ‘switchover’ point. From the Scottish reg on one and the colour scheme, I’d guessed they were ex-Lothian, but they seem to be ex-London? Bit of a glamourous fate, pounding the strip in retirement! The Big Bus livery derives from East Kent Road Car, the YMS plate is its Nevada on it was bart of the KHV-X batch when new to LT. There was one wag at Leyland who said the cost of raising all the overbridges and bus garages to fit the titan was a trivial expense. Bristol, who did most of the design work on the Olympian wanted to call it the Unicorn. To be pedantic, LT *didn’t* cancel any of its Titan orders, although it reduced its 1981 order from 250 vehicles to 150 following the transfer of production to Workington. so why was Titan production ended?? In a nutshell, product rationalisation. As good as the Titan was, operators found it too specialist for municipal fleets and NBC companies would never consider owing to its lavish spec. The Olympian was much more sympathetic in complexity and sold in bigger numbers…. It made no sense to have two decker chassis, especially in a shrinking market. I’ll speak up for the Workington factory, as I live near it and know a few people who worked there. Unlike most of the car factories, Workington rarely lost a day to industrial action, the workforce were happy to be in a modern factory( many came from the coal industry), and once the National was sorted, it proved to be a durable and reliable bus. Sadly its remote location saw Volvo close it in 1992.